Travel from the rarely visited northern region of Kenya to the Ethiopian highlands, an area steeped in natural beauty and human history. 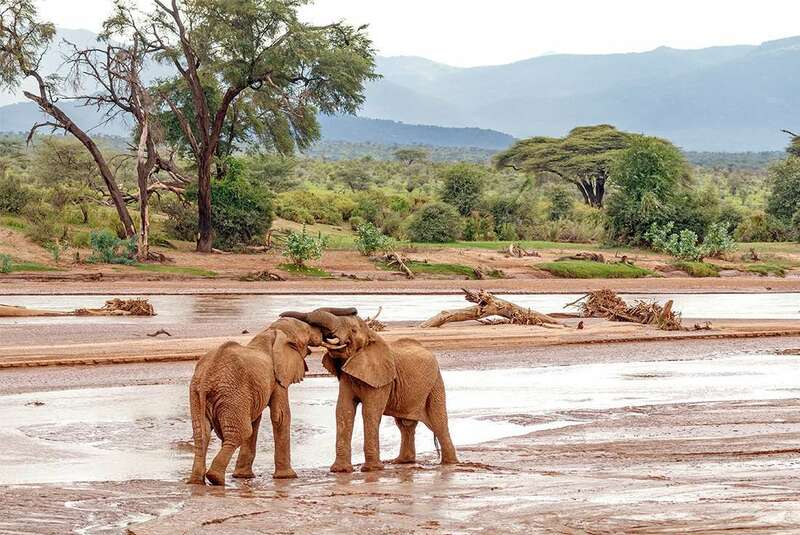 Head north from Nairobi to Nanyuki and Samburu, hiking in the shadow of Mount Kenya and searching for the ‘Special Five’, wildlife unique to this area. 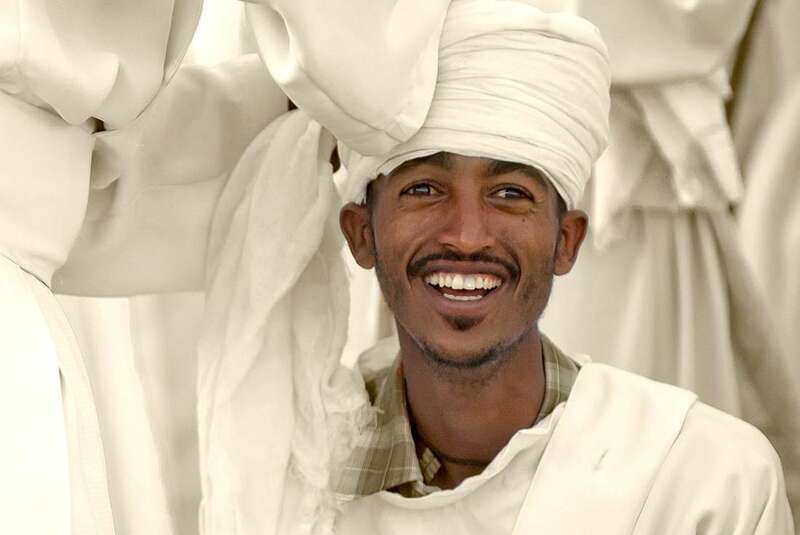 Spend some time learning about the traditional peoples of northern Kenya, including the Samburu and Hamar, before crossing into Ethiopia where you’ll witness the ancient cities of Gondar, Lalibela and Axum, as well as the World Heritage-listed Simien Mountains National Park. 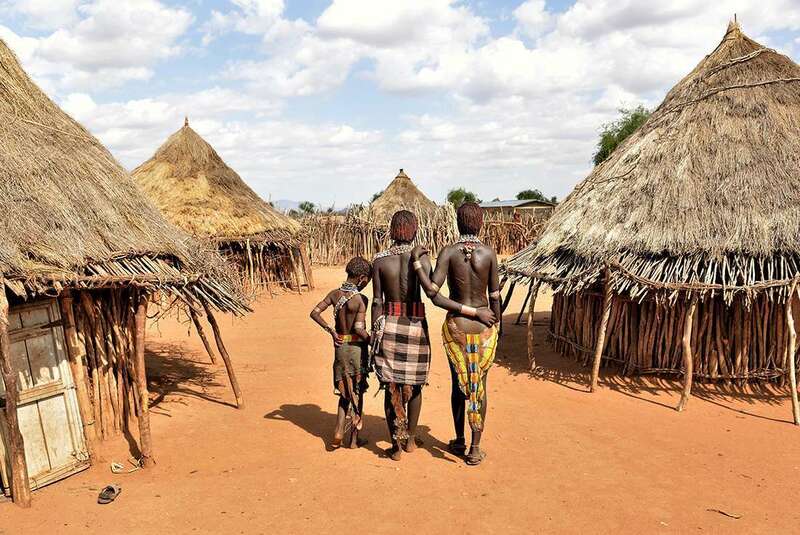 Visit the Dorze people and immerse yourself in a culture well known for their unique beehive houses and colourful woven fabrics. 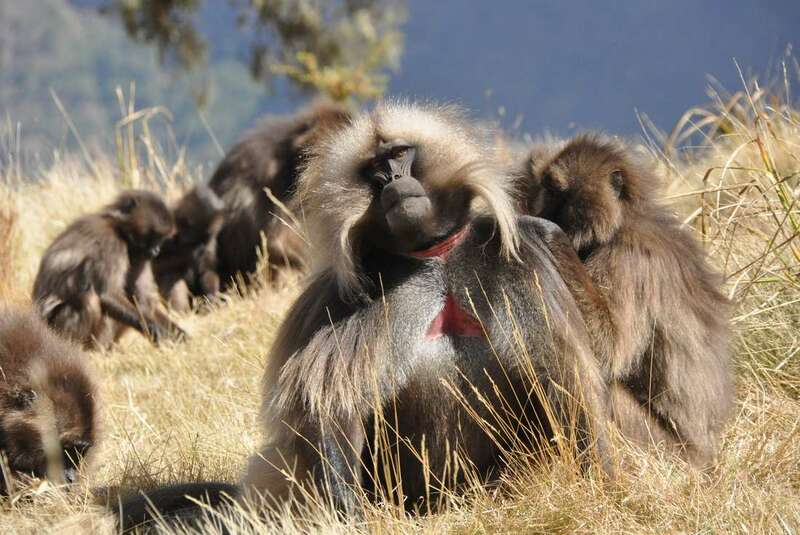 Search for the Gelada baboon in Ethiopia's Simien Mountains. 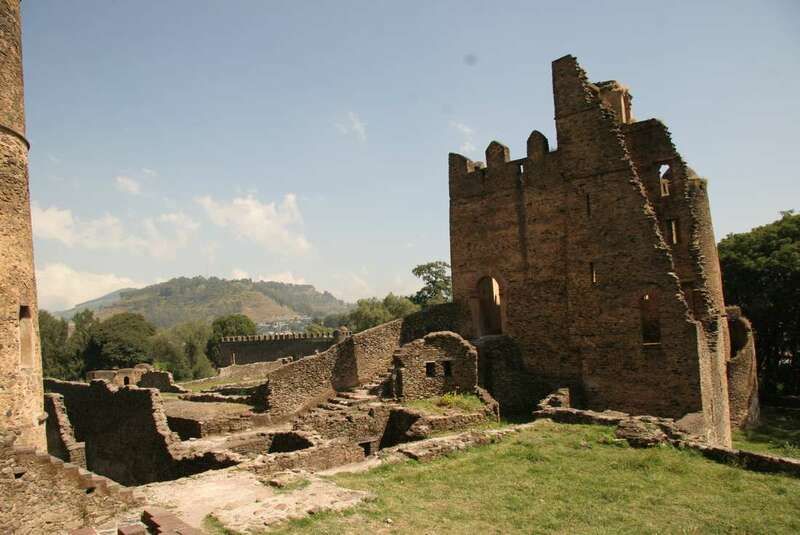 Visit Ethiopia’s ancient cities including Gondar, Lalibela and Axum. ITINERARY CHANGES: Our itineraries are updated regularly throughout the year based on customer feedback and to reflect the current situation in each destination. The information included in this Essential Trip Information may therefore differ from when you first booked your trip. It is important that you print and review a final copy prior to travel so that you have the latest updates. Due to weather, local conditions, transport schedules, public holidays or other factors, further changes may be necessary to your itinerary once in country. The order and timing of included activities in each location may also vary seasonally to ensure our travellers have the best experience. Your tour leader will keep you up to date with any changes once on tour. 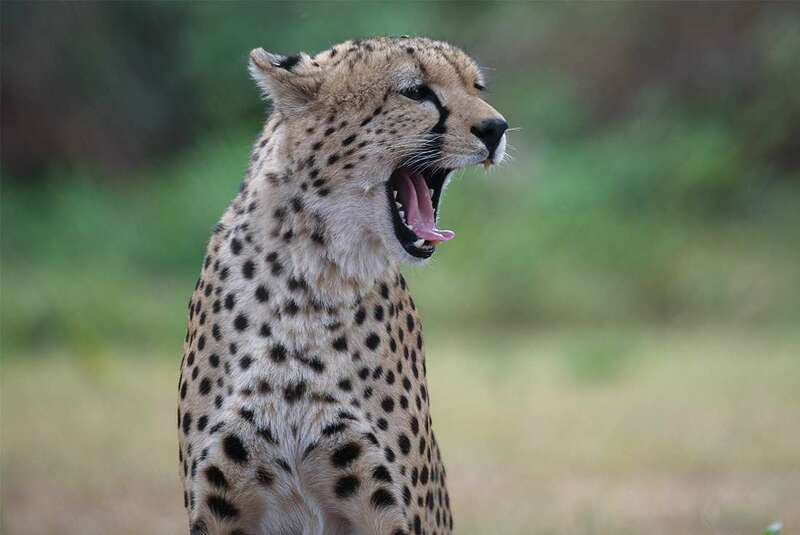 Enjoy a relaxed breakfast in Moyale before driving to Konso, a journey of approximately six hours. Stop en route at the beautiful El Sod Crater, which locals have been extracting salt from for centuries. 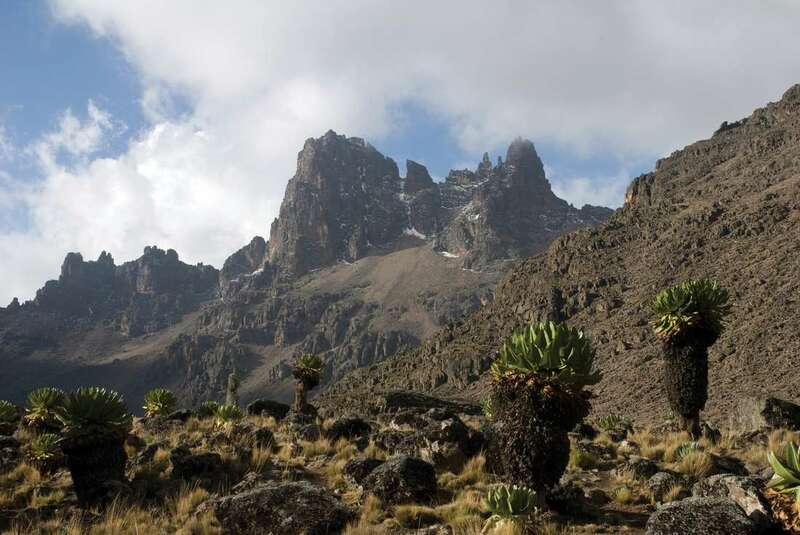 Some members of your group will be departing tomorrow as this is a combination trip, so after arriving in Konso you may wish to get the group together for dinner to farewell those who are leaving. Travel north to Arba Minch after breakfast. 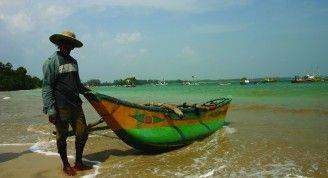 This is a region noted for its variety of peoples and cultures, many of which are nomadic or semi-nomadic and live very differently to what most would consider a modern existence. Arba Minch is bordered by Nechisar National Park and lies between two of Ethiopia's largest lakes, Chamo Lake and Abaya Lake. Climb aboard a boat in the afternoon and travel across Chamo Lake on an excursion to hopefully see the resident hippos, Nile crocodiles, flourishing birdlife and the local fishermen working their trade on the water. Drive north and return to Addis Ababa. Have dinner at a local restaurant in the evening and meet your new group members. Today we will take a spectacular flight to Bahir Dar. From the air we can gaze across the extraordinary nature of the Ethiopian Plateau, repeatedly cut by immensely deep gorges. Bahir Dar is a small but fast growing town on the southern shore of Lake Tana, the source of the Blue Nile. 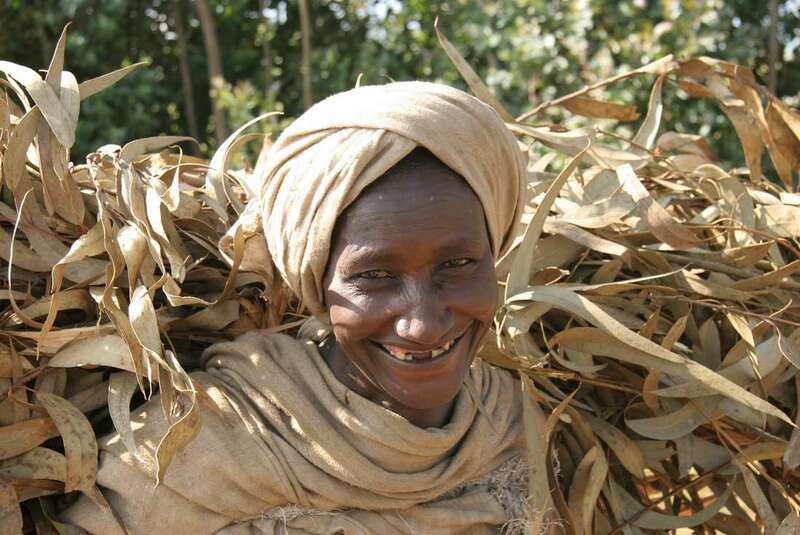 It has long attracted religious men and the area contains numerous churches and monasteries, many of them on the thirty or so islands of Lake Tana. This afternoon, board a sightseeing boat for a cruise around the lake. Covering over 3,500 square kilometres, this is Ethiopia’s largest lake and is home to 37 islands, 20 of which house some of Ethiopia’s most venerated monasteries. Many of these monasteries are believed to date back to the 13th and 14th centuries, and feature superb ecclesiastical art. Legend has it that the Ark of Covenant was hidden here for protection during the times when Pagan forces invaded the ancient capital Axum. Your boat trip will take you to the monastery of Ura-Kidane Mehret, which dates from between the 16th and 18th centuries. It is renowned for its collection of crosses and crowns, and its incredible painted walls that offer up a virtual 'who’s who' of Ethiopian saints. The boat returns to your hotel via the source of the ‘Blue’ section of the Nile. Head for the regal city of Gondar by travelling north around the edge of Lake Tana this morning, a drive that'll take approximately 4.5 hours including photo stops. Gond was the capital of Ethiopia through the 17th and 18th centuries, and is famed for its medieval castles and churches. This afternoon or tomorrow, there's the option to visit the city's most significant churches and castles either as part of a tour or unaccompanied. The city's unique Royal Enclosure is a World Heritage site and home to dramatic, Emperor-built castles unlike any other in Africa. 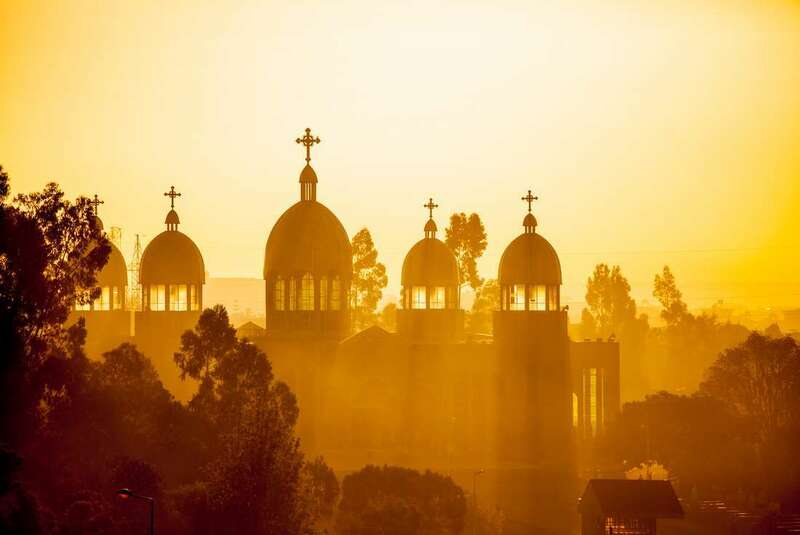 Spend the afternoon visiting these medieval castles and stop by the famous church of Debre Berhan Selassie, one of the finest in Ethiopia with walls and ceilings covered in stunning murals of angels. Strap in for a long travel day up the winding road to Aksum. Though the journey will take approximately seven hours, you'll cross the lowlands of the Simien Mountains and the Tekeze River gorge and the views will be absolutely spectacular. Aksum was once the capital of the Kingdom of Aksum, Africa's oldest empire, which exsisted from around AD100 to AD900. It was at the centre of a trading route that stretched from Egypt all the way to India and grew to be one of the most powerful kingdoms in the ancient world. Leave Axum for Mekele, looking across to see the spectacular Adwa Mountains and the battlefield of Adwa, where the Ethiopians defeated the Italians in 1896. 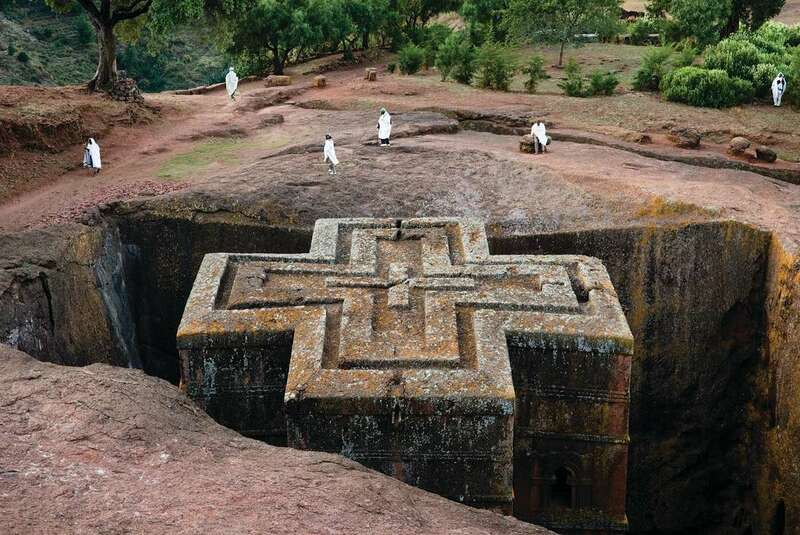 Stop to visit the Pre-Christian Pagan Temple of Yeha before breaking for lunch at Adigrat. Yeha is though to have been Ethiopia’s first capital and the temple has been dated to around the 6th century BC. 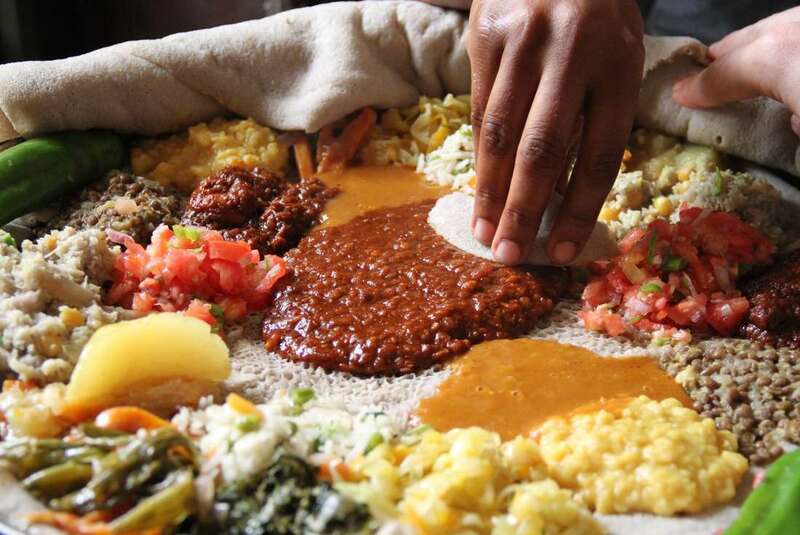 After lunch, drive to Enda Teka Tesfay and walk to the rock church of Medhane Alem Adi Kesho (approximately 4 hours). There are numerous magnificent rock-hewn churches in the Tigray region, but Medhane Alem Adi Kesho is one of the best in terms of architectural quality. The outside is roughly carved, but the interior ceiling is elaborately sculpted. 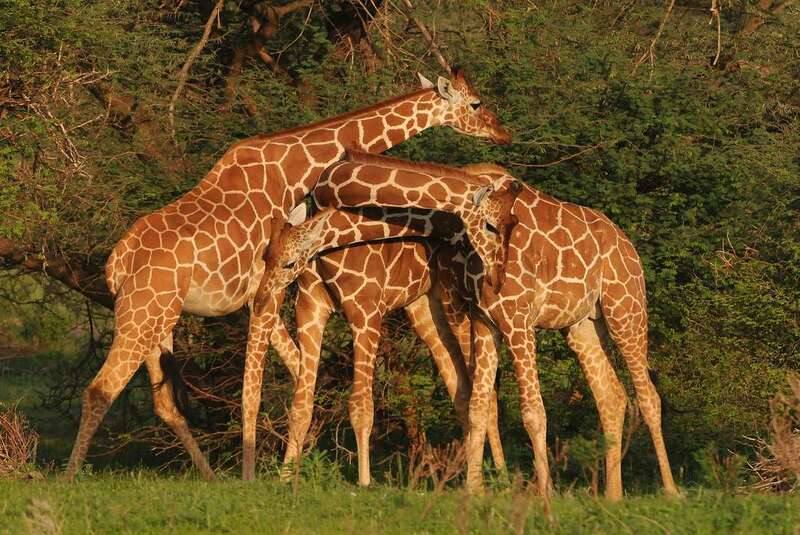 Spend the night in nearby Mekele. Start the long journey to Lalibela early in the morning on a smooth paved road and, after a couple of hours, reach the spectacular mountain range of Amba Alaje. Continue through green valleys and flat plains before turning west towards Lalibela at Woldia (approximately 4.5 hours). The road after Woldia offers one of the most scenic routes in the country. It involves climbing on winding roads along steep hills and evergreen lush valleys up to the Delanta Plateau (3,500 metres), then contouring around the valley for a couple of hours, before arriving at Lalibela in the late afternoon (approximately 4 hours). Despite the town of Lalibela being isolated in the Lasta Mountains at 2,630 metres above sea level, it is still the home of Ethiopia’s top sight, and one of the world's greatest historical and religious sites.